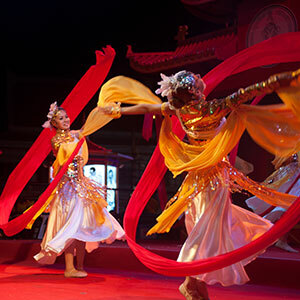 During the Lunar New Year, NYC goes all out with festive events offering traditional dancing and performances. This year, Queens has several events to offer residents of all ages. The Lunar New Year, also known as the Chinese New Year, begins on the new moon that appears between Jan. 21 and Feb. 20 every year — with this year’s falling on Feb. 5. Each lunar year is presented by one of the 12 spirit animals (zodiac signs), and 2019 is the Year of the Pig. For the fifth year in a row, the Queens Museum teams up with the New York City Chinese Cultural Center to offer dance and martial arts demos, a calligraphy workshop, Chinese Lantern-making, and storytelling. Check out all the events on February 3 from 1pm-4:30pm. On Feb. 9, Flushing is having its free annual Lunar New Year parade, which has historically brought out large bustling crowds. The event features brightly colored floats, vibrant costumes, steel drummers, firecrackers and dragon dancers. Starting at 9:30 a.m., the day will begin with coffee and donuts as a warm-up reception for attendees at the Greater Flushing Chamber of Commerce. The parade will commence at 11 a.m. on Union Street and 37th Avenue in Flushing. That same day, Queens Botanical Garden will celebrate the Lunar New Year from 12pm-4pm with activities for the whole family, including themed crafts, performances, workshops, and more. Plus, visitors are encouraged to take a lucky plant home from QBG’s Lunar New Year Plant Sale sponsored by COTS Travel. Plants include jade plants and peace lilies. 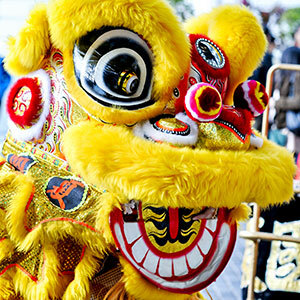 Additionally, several Queens Library branches have Lunar New Year's events throughout the month. On Sunday, Feb. 10, the Chinese-American Parents’ Association (CAPA) will work with Queens Library at Flushing to host a “Lantern Festival Event” to teach children and parents how to make their own lanterns and bring them home to celebrate Lantern Festival. Community Content Manager at Beam Living. 2019 BPP MFNY Employer LLC. All rights reserved.